This beautiful black and mid-night blue beaded halter-top is 100% silk and an original Papell Boutique Evening collection. 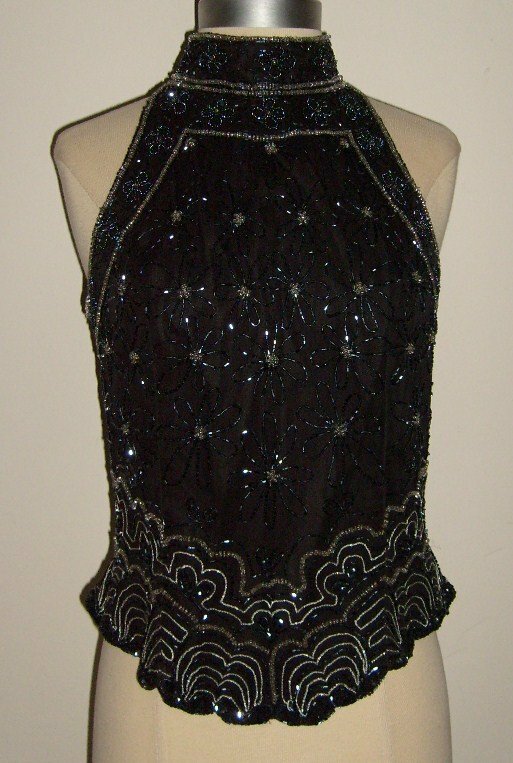 Glittering embellished midnight blue and clear bugle beading in a floral design overlay 100% black silk. Top is sleeveless with invisible back zipper, hook & eye closure, is fully lined and scalloped hem. It is in excellent condition and would look chic when paired with fitted jeans and stilettos.